The well-trained professional team at McBoard knows, how important it is that the equipment fits like a glove. Thats why the ski rental in Villars provides modern technology that maintains the skis, snowboards, ski boots and skating boots fit for winter. In winter, the 77 ski lifts and 220 km of trails of the Villars-Gryon-Les Diablerets and Glacier 3000 ski area mean that you can leave and return to the resort with your skis on your feet, having skied from the 3,000-metre glacier all the way back to the village. 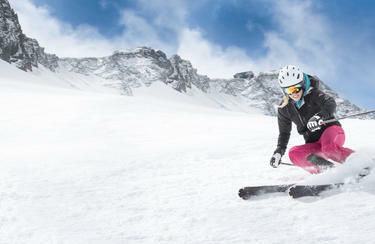 Are you on your way with an own ski equipment in the mountains? Then be convinced by the competent service of INTERSPORT Rent. Get useful information for your holiday in Villars-sur-Ollon to your mobile!